The Army of Flanders (Spanish: Ejército de Flandes) was a multinational army in the service of the kings of Spain that was based in the Netherlands during the 16th to 18th centuries. It was notable for being the longest-serving standing army of the period, being in continuous service from 1567 until its disestablishment in 1706. 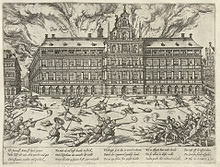 In addition to taking part in numerous battles of the Dutch Revolt (1567–1609) and the Thirty Years' War (1618–1648), it also employed many developing military concepts more reminiscent of later military units, enjoying permanent, standing regiments (tercios), barracks, military hospitals and rest homes long before they were adopted in most of Europe. Sustained at huge cost and at significant distances from Spain, the Army of Flanders also became infamous for successive mutinies and its ill-disciplined activity off the battlefield, including the Sack of Antwerp in 1576. The Army of Flanders formed the longest standing army in the early modern period, operating from 1567 until 1706. It was established following a wave of iconoclasm in the troubled provinces of the Netherlands in 1565 and 1566. 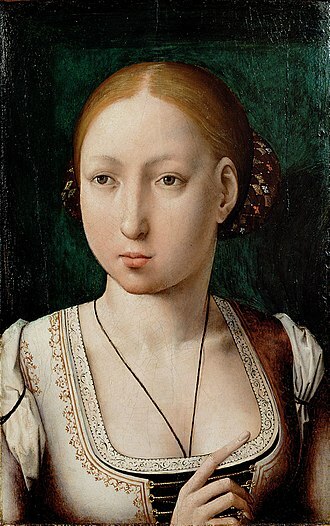 The provinces were ruled by the Spanish King Phillip II, and as trouble mounted he decided to reinforce the existing forces of the governor, Margaret of Parma, with a more substantial force. This was both a political reaction against the perceived rebellion, but also a response to the Calvinist views being shown by the protesters, establishing a religious flavour to the military response. King Phillip's possessions stretched across Europe, and were reflected in the creation of the new army. In 1567 it was intended that 8,000 Spanish foot and 1,200 horse would form the nucleus of a new army for the Netherlands, to be sent from north Italy via Savoy. It was envisaged at this stage that the total number might potentially reach 70,000 (60,000 foot, 10,000 horse), under the command of Fernando Álvarez de Toledo, 3rd Duke of Alba. The force would be sent through Europe via a sequence of friendly or neutral territories, which would become known as the 'Spanish Road'; surveying of the route began in 1566. Eventually the Spanish authorities concluded that 70,000 troops was excessive, and certainly too expensive, and in the end only 10,000 Spaniards and a regiment of German infantry under Count Alberic de Lodron were initially sent. Their formation, dispatch and march north was a considerable accomplishment for the time. Arriving in the Netherlands, they joined the 10,000 Walloon and German troops already serving Margaret of Parma, who then resigned in favour of Alba. The Spanish troops were unruly, but formed an essential professional basis for the new army. Backed by the new Army of Flanders, Alba began clamping down on the unrest; around 12,000 people were tried by Alba: 1,000 were condemned to death, others forfeited property as a result of the trials. The 'Spanish Road', linking Spain's northern territories with those in Italy and the Peninsula. In an ambitious undertaking, Spain used the Spanish Road to reinforce her position in the Netherlands with the new Army of Flanders in 1567. The size of the Army of Flanders would vary over the period in response to contemporary challenges and threats. The initial force that combined in the Netherlands in 1567 was a little over 20,000 strong; after the defeat of William I of Orange the following year, the Spanish planned for an enduring force of 3,200 Walloon and 4,000 Spanish infantry along the borders of the Netherlands, backed by 4,000 Spanish infantry and 500 light cavalry forming a strategic reserve. In practice, the ensuing Dutch revolt meant that the Army had to enlarge considerably in 1572, reaching, on paper, if not in reality, a strength of 86,000 by 1574. The Army was a multinational force, drawn primarily from the various Catholic possessions of the Habsburgs but also from the British Isles and from Lutheran parts of Germany. There was a clear contemporary hierarchy as to the value of different soldiers; Spanish soldiers were considered the best; then Italians, followed by English, Irish and Burgundian troops; then Germans, then finally local Walloons. Parker has argued that the Germans in fact performed much better than they were given credit for by contemporary commanders. Despite their value on the field, Spanish troops in the Army were particularly unpopular with the local people, and at two key moments were sent out of the Netherlands to assuage local opinion. Recruitment occurred by various methods, including the commissioning of recruiting captains, who would attempt to enroll volunteers from a given recruiting region each year, and contractors, who would attempt to hire troops from across Europe. It is estimated that around 25% of the Army had served their military apprenticeships elsewhere, with more than 50% recruited outside the Low Countries. At its best, this system could achieve remarkable surges – the increase in the Army in 1572 used all these methods, and its success was a major accomplishment for the Spanish military establishment. During the 1590s, there was increasingly fierce competition for suitable veterans among Catholic France, embroiled in its civil wars of religion, the Habsburg Empire's other commitments and the Army of Flanders, with premiums being paid for transfers into the respective armies. By the early 17th century, the similarities between the Habsburg army of Hungary and the Army of Flanders made competition for recruits particularly intense. The cost of recruiting for the Army created tensions between Philip II's policy in the Netherlands, and his need to maintain a strong presence in the Mediterranean against the Ottoman Turks. 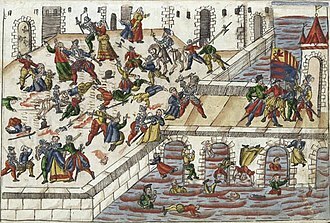 Although volunteers were the norm, in extremis other methods could be used; Spain raised a tercio of Catalan criminals to fight in Flanders, a trend Philip II continued for most Catalan criminals for the rest of his reign. Pay remained fixed throughout most of the period, three escudos per day up until 1634, then four escudos thereafter. At the highest social level, the Army of Flanders enjoyed a sequence of senior officers drawn from the nobility. Having senior noble commanders was considered extremely important in the Army, more so than in equivalent armies in Europe. At the lowest, the Army, like most of the period, had a substantial train of camp followers. Drawn from the lower classes, they made up a large percentage of the overall size of the Army in the field, and represented a considerable logistical burden in campaigns. As time went on, the Army of Flanders began to enjoy various distinctly modern institutions, often before they were adopted by the rest of Europe. 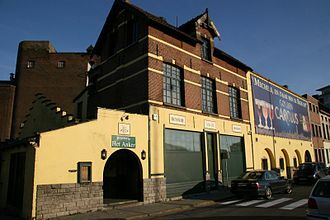 Alba set up a military hospital at Mechelen near Brabant in 1567; it was closed the following year, but after many complaints by mutineers it reopened in 1585, ultimately having 49 staff and 330 beds, paid for partially by the troops. The 'Garrison of our Lady of Hal' was created as a more permanent rest home for crippled veterans. A public trustee was also appointed in 1596 to administer the wills of soldiers who had fallen in service. After 1609, a number of small barracks (baraques, called after the French version of the Catalan barraca) were created away from the main urban centres to house the Army – a move that was eventually copied by other nations. 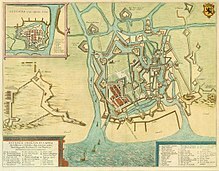 A map showing the extensive polygonal fortifications around the city of Oostend, 1601-4, a prolonged siege which cost the Army of Flanders 80,000 casualties, and the Dutch 60,000. 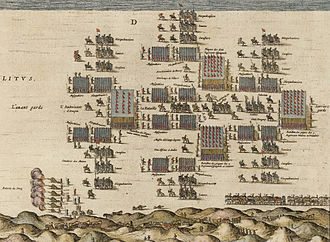 The Army of Flanders had been built upon the concept of the Spanish tercio, a pike-heavy infantry formation that well suited the nature of warfare in the Netherlands. The large areas of flat ground, the platteland, was criss-crossed by rivers and drainage channels, dotted by numerous towns and cities well placed to dominate the surrounding landscape, increasingly defended with polygonal fortifications. Siege warfare, rather than set-piece battles, dominated the Eighty Years' War, especially in the 16th century. Away from the major sieges, the war took on an almost guerilla style of small engagements and skirmishes, with much of both the Army of Flanders and the Dutch forces dispersed across the countryside; in 1639, for example, just under half of the Army, then 77,000 strong, was distributed across 208 small garrisons. This pattern reflected the Dutch disposition as well. Siege warfare was extremely expensive, both in terms of casualties and money. 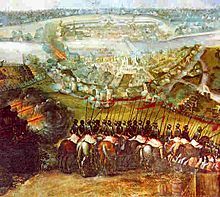 In 1622 the siege of Bergen-op-Zoom cost Spinola 9,000 men, whilst the siege of Oostend in 1601-4 cost the Army of Flanders 80,000 in casualties. 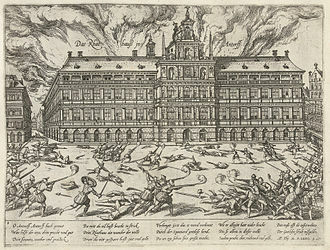 The siege of Breda during 1624–5 was so expensive financially that the advance had to pause through 1625 – no more money was available to exploit the success. In the 17th century, the conflict gradually changed, as the Spanish-Dutch borders became smaller and more secure and the number of sieges slowly reduced. The Army of Flanders gradually changed in response to these developments in warfare. The Spanish experiences fighting the Swedish, with their more flexible, firepower-oriented tactics of open battle, resulted in a decision to alter the balance of the Flanders tercios in 1634. 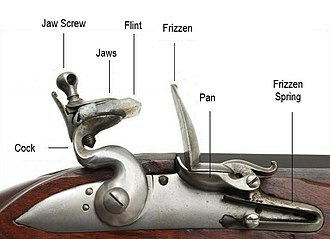 A new ratio of 75% musketeers to 25% pike was decided on; this delivered more firepower, but was weaker in defending against cavalry, as was demonstrated at Rocroi (1643). In practice this adjusted ratio was only applied to newly formed units. 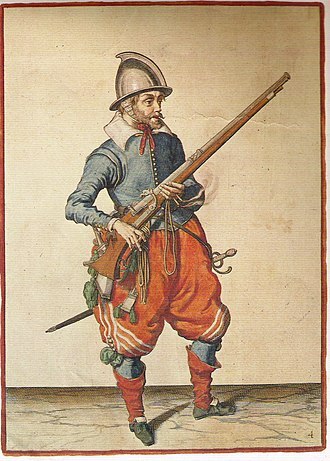 There were also attempts to introduce the heavier musket to replace the lighter arquebus; the poor physical quality of new recruits, who could often not lift the heavier weapon, however, meant that this rule often had to be broken in practice, the local Walloons being felt to be particularly weak and requiring the arquebus. The efforts to deploy the Army of Flanders against France also encouraged changes. Generally speaking, the Army required more infantry for operations in the north against the Dutch, and more cavalry for operations in the south against the French. The Army of Flanders was rarely strong in terms of cavalry, however; in 1572 Alba had discharged all his heavy cavalry, and until the 1630s the Army's cavalry was mainly light cavalry, used to patrol the platteland. Horses themselves were often in short supply – after the relief of Rouen in 1592, for example, two thirds of the Spanish cavalry lacked mounts. On campaign, the Army of Flanders were considered highly disciplined in the field, being cohesive, with good support facilities. 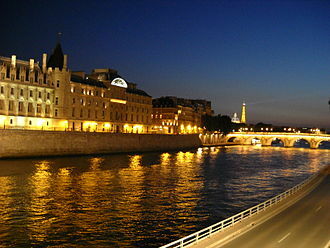 When necessary, they could achieve significant military feats, such as their building of a bridge over the Seine to escape pursuit in 1592. By contrast, even by early modern standards the Army was considered very ill-disciplined off the field, as illustrated by a colloquial Spanish phrase in response to unruly behaviour which came rhetorically to question whether the person believed they were serving in Flanders. The Army of Flanders was to play a key part in all the campaigns of the Dutch Revolt (1567–1609). The Duke of Alba had first brought the army into Flanders, and despite losing the Battle of Heiligerlee to William I of Orange, the rebel leader, was able to pacify the north until a resurgence of rebel activity occurred in 1572. Unable to deal with the crisis, Alba was replaced by the more moderate Luis de Zúñiga y Requesens in 1573. Requesens was hampered by the bankruptcy of the Spanish crown in 1575, which left him without funds to maintain his army. The Army of Flanders mutinied, and shortly after Requesens' death in 1576 almost effectively ceased to exist, disintegrating in various mutinous factions. Don John of Austria took over the command of the province, attempting to restore some semblance of military discipline but failing to prevent the Sack of Antwerp by mutinous soldiers. By the time that Alexander Farnese, the future Duke of Parma, took control of the army in 1578, the Low Countries were increasingly split between the rebellious north and those southern provinces still loyal to Spain. Farnese set about consolidating Spanish control in the south, retaking Antwerp and other major towns. At this point the Army was diverted from its original function of fighting the northern rebels to addressing the problem of England, at war with Spain. Farnese believed that the Army could hope to cross the Channel in force, relying upon a Catholic uprising in England to support it; instead, Philip decided to undertake a naval attack using the Spanish Armada in 1588. The Army of Flanders moved against Ostend and Dunkirk in preparations for a follow-up manoeuver across the Channel in support of the Armada, but the defeat of the main naval force brought an end to these plans. Farnese was ultimately removed as governor, being replaced by Peter Ernst I von Mansfeld-Vorderort in 1592 and Archduke Ernest of Austria in 1594. By the time Archduke Albert of Austria – the husband of Isabella of Spain was given custody of the Netherlands by the Spanish king in 1595, the Dutch north appeared to be an increasingly independent country, protected by the able military commander Maurice of Orange and his Dutch States Army. The Dutch continued to consolidate their control over various towns through a sequence of successful sieges, whilst the Army of Flanders saw itself increasingly pointed southwards, against France, being used as a strike force in 1590 and 1592, and fighting to take Cambrai (1595) and Calais (1596). Despite the failure of the Army to reoccupy the north, it continued to the end of the period as an effective fighting force, with its campaigns in 1605 and 1606 being notable for their 'vitality' and vigour. The Army of Flanders had become particularly well known for its frequent mutinies, especially during the 1570s. These mutinies, or alteraciones, stemmed from the mismatch between Spain's strategic military ambitions and her fiscal means. Spain was the only European power to be able to project military force on the scale and distance of the Army of Flanders; backed by gold and especially silver from her American colonies, Spain had huge funds available. In practice, however, the costs of such a large military force outstripped even Spain's ability to pay for it. In 1568, the defence costs for the army in Flanders amounted to 1,873,000 florins a year. By 1574, the enlarged army was costing 1,200,000 florins a month. Even with increased taxation, the Low Countries could not hope to support such a force, but funds from Castile were limited – only 300,000 florins arrived each month at the time from Spain. This underlying fiscal tension was only just manageable in normal years; in years like 1575, when King Phillip II was forced to default on his loans yet again, there was simply no money available to pay the Army of Flanders. Mutinies usually ensued – ultimately the Army of Flanders mutinied 45 times between 1572 and 1609, with the mutinies coming to have a formal character and process of their own. The longest mutiny was the Mutiny of Hoogstraten, which ran from 1 September 1602 to 18 May 1604. Broadly speaking, these mutinies resulted in three problems. First, the mutinies were unpredictable and frightening events for any military leader to deal with. Second, they encouraged the troops to live off the locals, extracting 'free lodgings, and encouraging theft and plunder' which drastically reduced local support for the Spanish cause. Third, the pauses in the campaigns caused by the mutinies allowed the Dutch to recover lost ground each time. The first mutiny occurred in 1573, with the soldiers ultimately being paid off with 60 florins each, two further mutinies followed, freezing the progress of the Spanish campaign. Mutinies continued in 1575 and 1576, up until the death of the Army's commander, Requesens. The Army effectively collapsed, sustaining itself by extorting money and food from the local peoples – widespread fresh Dutch revolts recommenced, accompanied by a general outcry of 'death to the Spaniards'. 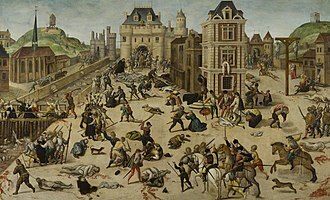 The new commander in the Netherlands, Don John of Austria was unable to restore order, resulting in the Sack of Antwerp, a horrific event in which 1,000 houses were destroyed and 8,000 people killed by rampaging soldiers. 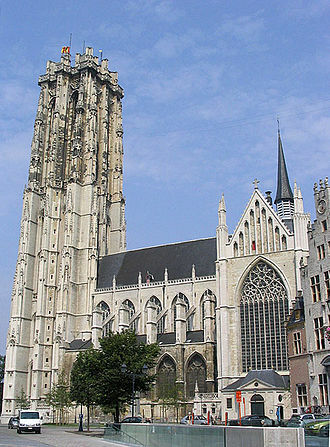 The States General, influenced by the sack, signed the Pacification of Ghent only four days later, unifying the rebellious provinces and the loyal provinces with the goal of removing all Spanish soldiers from the Netherlands, as well as stopping the persecution of heretics. This effectively destroyed every accomplishment the Spanish had made in the past ten years. Attempting to mollify the situation, Don John removed his Spanish troops from the country in 1577, before recalling them shortly afterwards when the political situation worsened again. When Don John died, Alexander Farnese replaced him as governor and set out to moderate Spanish policy in Catholic Flanders while reducing Protestant outposts by force. This policy backfired. In 1579 his troops sacked Maastricht, killing over 10,000 civilians. During the opening campaigns of the Thirty Years' War (1618–1648), the Army of Flanders played an important role for the Imperial factions as a mobile field army. During the Palatinate phase (1618-1625), the Army, 20,000 strong, was sent under Ambrogio Spinola to support the Emperor, pinning down the Protestant Union whilst Saxony intervened against Bohemia. Joined by the Army of the Catholic League, the two forces decisively defeated Frederick V at the Battle of White Mountain, near Prague, in 1620. 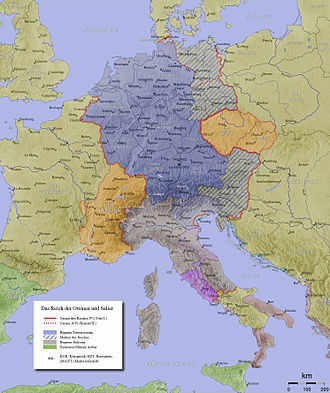 In addition to becoming Catholic once more, Bohemia would remain in Habsburg hands for nearly three hundred years. The Army of Flanders then outflanked the Dutch in preparation for a renewed offensive against the United Provinces, occupying the Rhine Palatinate. The Siege of Breda in 1624 by Jacques Callot, showing the tercios of Army of Flanders. Having made a success on the battlefield, the Army then turned against the Dutch. Spinola made considerable progress from 1621 onwards, finally retaking Breda after a famous siege in 1624. The cost of this siege, however, was far in excess of Spain's resources, and the Army was put on the defensive for the remainder of the war. Steadily placed under increased pressure, the Army's position could have been untenable, but in 1634 Spain exploited the Spanish Road once again, bringing fresh forces from Italy under the command of the Cardinal-Infante Ferdinand of Austria; they decisively defeated the Swedes at the Battle of Nördlingen, before cutting west to reinforce the Army of Flanders. Any Spanish advantage, however, would be undercut by the new Franco-Dutch alliance that threatened to engulf the Spanish Netherlands in a pincer movement between her two enemies. The Battle of Rocroi (1643) resulting in the destruction of many of the long-serving professionals at the heart of the Army of Flanders. With the French entry into the war in 1636, the Army of Flanders initially made a good showing, counter-attacking and threatening Paris in 1636. 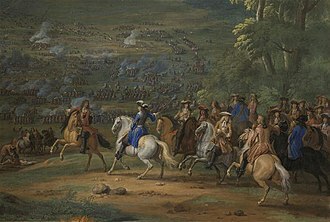 Over the next few years, however, France's military strength continued to grow and the earlier successes of the Army would be overshadowed by their defeat at the Battle of Rocroi in 1643. Spain had responded to French pressure on the Franche-Comté and Catalonia that year by deploying the Army from Flanders, through the Ardennes into northern France, threatening an advance onto Paris. The ensuing battle, as the Army set siege to Rocroi, turned against the Spanish and their defeat became inevitable. The French commander, Louis, duc d'Enghien, attempted to negotiate terms for surrender for the remaining Spanish infantry, but a misunderstanding led to the French troops attacking the Spanish forces with no quarter being given. Of the 18,000 strong Spanish army, 7,000 prisoners were taken and 8,000 killed, with the majority of these losses being the much-prized Spanish soldiers. The destruction of so much of the Army had immediate strategic ramifications. Spain could no longer continue its planned advance on Paris, and within five weeks had begun to make the first moves towards a negotiations that would culminate in the 1648 Peace of Westphalia. Traditionally, historians have traced the decline and collapse of Spanish military power in Europe from the battle of Rocroi; the defeat, however, can be overstated. 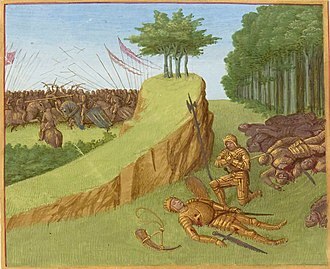 A substantial part of the Army of Flanders, some 6,000 men under Beck, failed to turn up in time to fight at Rocroi and formed the nucleus of the new Army of Flanders afterwards. Some recent historians have increasingly seen 1643 as a somewhat arbitrary date – Spain remained powerful and capable of defending itself in Flanders for many years afterwards. Battle of Rocroi. Some point to successes like Valenciennes, 1656 as showing the arbitrariness of using Rocroi, 1643, as the start of the decline. After the end of the Thirty Years' War, a financially constrained Spanish government steadily reduced the size of the Army of Flanders; this trend continued after the end of the Franco-Spanish war that continued after the Peace of Westphalia in 1648. Despite its decline in numbers and quality, the army remained "an opponent to be treated with respect" at least until the 1650s, though it started to rely more on auxiliary forces such as the allied army of Louis, Grand Condé and a Royalist Army in Exile loyal to Charles II of England. 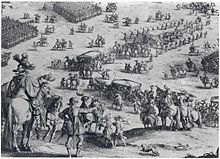 The Battle of the Dunes in 1658, resulting in a defeat for the Army of Flanders at the hands of the French, produced a renewed peace. Recent scholarship has highlighted the deep seated problems emerging in the Spanish state and military from the 1630s onwards. 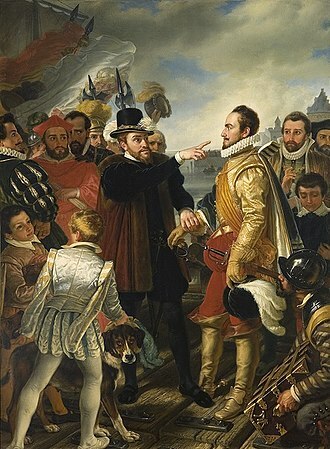 The Count-Duke of Olivares, the key advisor to King Philip IV, had attempted to re-energise the Army of Flanders by injecting increasing numbers of the aristocracy into the senior ranks; the results had included rank inflation, a fragmented system of command and a raft of temporary appointments. By the 1650s, the officer-to-man ratio in the Army had reached the unsustainable levels of one to four. Recruitment had steadily shifted; by the mid-17th century, troops were increasingly being raised less by contractor and contractors, and more by either capturing men or selecting them as levies from cities and towns via lotteries (quintas or suertes). The Army of Flanders especially suffered from this, as it could no longer receive adequate numbers of recruits from Spain and Italy due to France having closed the Spanish Road. Instead it had to rely on locally raised forces or mercenaries who were not up to the old standards. The infrastructure and support services were considerably improved, but not as much as elsewhere, and Army was increasingly perceived as a 'broken force' in European affairs. With money continuing to be tight, visitors to the provinces in the second half of the century reported seeing the Army in an appalling state, with soldiers begging and short of food. Nevertheless, there was no return to the mass mutinies of the preceding century. By the end of the century, the final days of the Army of Flanders were not far away. 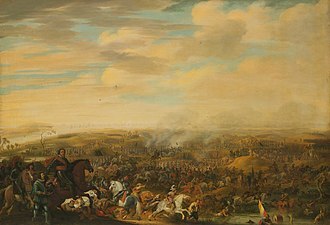 The War of the Spanish Succession (1701–14) saw French and Allied invasions and the disintegration of central Spanish authority in the peninsula, which destroyed the basis of the Army of Flanders – it was formally disbanded in 1706. 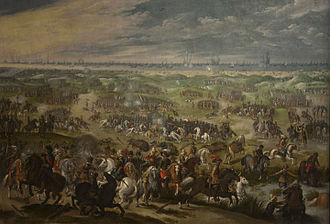 The Battle of the Dunes in 1658, another defeat illustrating the steady decline of the Army of Flanders during the second half of the 17th century. The Army of Flanders left a strong influence on various parts of Spanish culture. The patron saint of the modern Spanish infantry, for example, is the Immaculate Conception. This stems from an incident in 1585, when during the Battle of Empel, the tercio of Francisco de Bobadilla was trapped on the island of Bommel by the Dutch squadron of Admiral Holako. Stranded in mid-winter, his men were fast running out of food, but de Bobadilla refused to surrender. One of his soldiers, digging a trench, then discovered a wooden picture of the Immaculate Conception – de Bobadilla placed this on a makeshift altar, and prayed for divine intervention. That night the weather turned yet colder and the river Meuse surrounding the island froze over; de Bobadilla's men were able to cross the river on the ice, raid Holako's stranded ships and defeat the Dutch. The Army of Flanders adopted the Immaculate Conception as their patroness, and in turn this was followed by the modern Spanish infantry. Various phrases from the military in Flanders remain in the Spanish language. Poner una pica en Flandes, – 'to put a pike in Flanders' – refers to something extremely difficult or costly, referring to the expense involved in sending Spanish forces to Flanders. 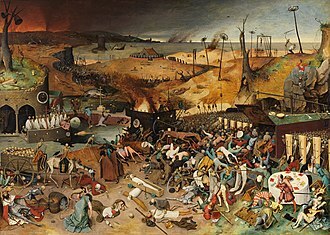 Pasar por los bancos de Flandes, – 'to go through the banks of Flanders', refers to overcoming a difficulty, such as the notorious sand-bank protecting the river-strewn Netherlands. ^ a b c d Barratt (2016), p. 12. ^ a b Parker, 1985:114. ^ a b Parker 1996, p.40. ^ van der Hoeven, p. 13. ^ a b Parker, 1996 p.60. ^ Gonzalez de Leon, p.323. ^ For example Wedgewood, 1938. ^ a b Anderson, p.34-5. ^ Barratt (2016), pp. 14–16. ^ a b Gonzalez de Leon, 2008. ^ Barratt (2016), pp. 12, 13. Barratt, John (2016). 'Better Begging than Fighting': The Royalist Army in Exile in the War against Cromwell 1656–1660. Solihull: Helion & Company Limited. ISBN 978-1-910777-72-5. Born at the Escorial near Madrid, Spain in 16091, he was the son of the King of Spain and Portugal, Philip III and II and Margaret of Austria, sister of Emperor Ferdinand II. His older siblings were King Philip IV and III and the French queen Anne of Austria, as his father wished that he pursue an ecclesiastical career, Ferdinand was elevated to the Primacy of Spain in 1619, becoming Archbishop of Toledo. Shortly afterwards he was created Cardinal, the style Cardinal-Infante was a combination of his dignity as Cardinal and his station as a royal Prince of Spain. Ferdinand was never ordained a priest, In 1630 the Cardinal Infantes aunt Isabella Clara Eugenia planned to make him her successor as governor of the Spanish Netherlands. To move to the Netherlands in a style befitting a governor and he met with an army from Milan for a planned march through the famous Spanish Way across Lombardy and Swabia, and following the Rhine to the Netherlands. Since disease delayed his travels, he sent half of his army ahead under the command of the Duke of Feria, this army was severely depleted during fighting with the Swedish army of Bernhard of Saxe-Weimar and Gustaf Horn. The Spanish requested 4000 cavalry from the Imperial general Albrecht von Wallenstein, but this being denied, the Cardinal-Infante was able to continue his travels in 1634, collecting in Bavaria the remains of the army of Gómez Suárez, who had died in January 1634. Meanwhile, Ferdinand of Hungary was able to defeat the Swedish army at Regensburg in July 1634 and this Ferdinand and his cousin the Cardinal-Infante Ferdinand raced to merge their armies. 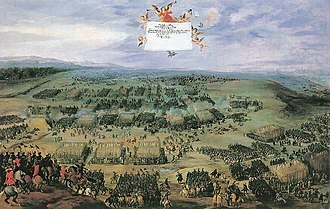 The Swedish forces of Bernhard of Saxe-Weimar and Gustaf Horn desperately tried to prevent this merger, the Cardinal-Infante crossed the Danube in August 1634. 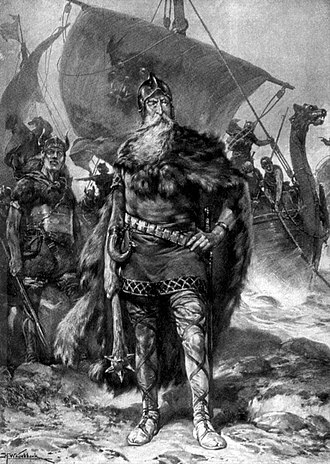 In September both armies were able to merge, and camped south of Nördlingen in Swabia, at that time Nördlingen was protected by a small Swedish garrison. Shortly thereafter, the armies of Bernhard of Saxe-Weimar and Gustaf Horn reached Nördlingen, Cardinal-Infante Ferdinand and his nephew Ferdinand prepared for battle, ignoring the advice of the more experienced generals, such as the Imperial general Matthias Gallas. Bernhard and Horn prepared for battle, but they were by now rivals, Gustaf Horn was captured, the Swedish army was destroyed, and the remainder that fled to Heilbronn was only a shadow of the former glorious army. At the end of 1634 he entered Brussels with all the glory befitting a Governor-General, due to the unpopularity of the clergy in Brussels, he downplayed his religious status and instead emphasized his worldly ranks. Ferdinand was a politician and diplomat, and quickly reformed the government. He especially managed to win the support of the Flemings against France, his powers were secretly limited, and the leader of his army was instructed to follow Spanish orders instead of Ferdinands orders if necessary. In 1635 the French attacked Namur, planning to merge with the Dutch near Maastricht, the Dutch hesitated, and the French retreated. Ferdinand subsequently was able to capture Diest, Gennep, Limbourg, on October 10,1637, Breda was recaptured again after a 10-month siege by the Prince of Orange after being under Spanish control for 12 years. Iconoclasm is the destruction of religious icons and other images or monuments for religious or political motives. Over time, the word, usually in the form, has come to refer to aggressive statements or actions against any well-established status quo. 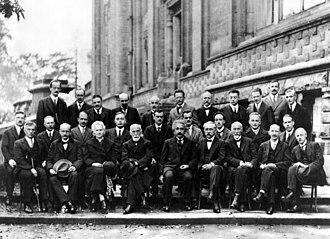 It is a frequent component of political or religious changes. The term does not generally encompass the destruction of images of a ruler after his death or overthrow. 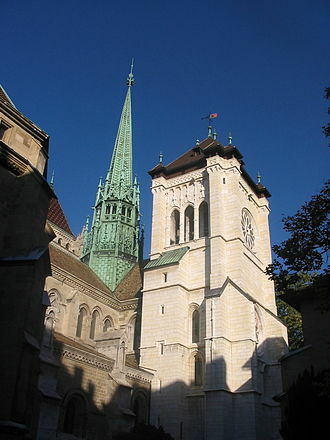 Conversely, one who reveres or venerates religious images is called an iconolater, in a Byzantine context, Iconoclasm may be carried out by people of a different religion, but is often the result of sectarian disputes between factions of the same religion. The Church Fathers identified Jews and Judaism with heresy and they saw deviations from orthodox Christianity and opposition to the veneration of images as heresies that were essentially Jewish in spirit. The degree of iconoclasm among Christian branches greatly varies, Islam, in general, tends to be more iconoclastic than Christianity, with Sunni Islam being more iconoclastic than Shia Islam. Akhenatens actions are described thusly, In rebellion against the old religion, public references to Akhenaten were destroyed soon after his death. Comparing the ancient Egyptians with the Israelites, Jan Assmann writes, For Egypt, in the eyes of the Israelites, the erection of images meant the destruction of divine presence, in the eyes of the Egyptians, this same effect was attained by the destruction of images. In Egypt, iconoclasm was the most terrible crime, in Israel. It is more probable that these traditions evolved under mutual influence. In this respect and Akhenaten became, after all, the period after the reign of Byzantine Emperor Justinian evidently saw a huge increase in the use of images, both in volume and quality, and a gathering aniconic reaction. 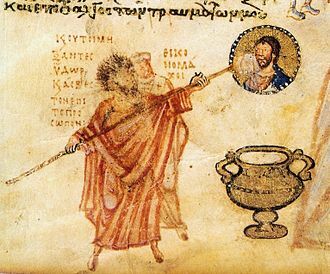 In the Eastern Roman Empire, government-led iconoclasm began with Byzantine Emperor Leo III, the religious conflict created political and economic divisions in Byzantine society. 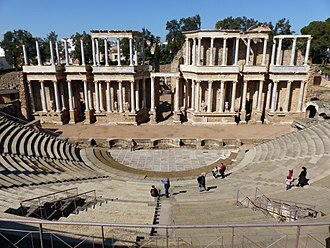 It was generally supported by the Eastern, non-Greek peoples of the Empire who had to frequently with raids from the new Muslim Empire. The battle is considered by many to be the turning point of the perceived invincibility of the Spanish tercio. The Habsburg Spanish army of about 27,000 men advanced from Flanders, through the Ardennes, the Spanish troops set siege to Rocroi, which lay athwart the route to the valley of the Oise. 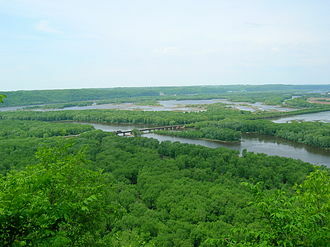 The French, under the command of 21-year-old Louis, duc dEnghien, reacted quickly, the Spanish failed to block the route to Rocroi, which passed through a defile bordered by woods and marsh. Enghien advanced through the defile and assembled his force along a ridge looking down on the town of Rocroi. The Spanish quickly formed up between the town and the ridge, the French army, some 23,000 strong, was arranged with two lines of infantry in the center, squadrons of cavalry on each wing and with a thin line of artillery at the front. The Spanish army was arranged, but with its infantry in their traditional tercios. The two armies bivouacked in their positions for the night, the French army attacked, but the French infantry in the centre were bested by the Spanish. The cavalry on the French left, advancing against Enghiens orders, was thrown back. But the cavalry on the French right, under the command of Jean de Gassion, Enghien was able to follow this up by attacking the exposed left flank of the Spanish infantry. Spanish cavalry made a successful counter-attack to drive off the French cavalry, the Spanish horse was put to flight, leaving the Spanish infantry to carry on the fight. The French were twice repulsed by the stubborn Spanish squares, so Enghien arranged for his artillery, Enghien offered surrender conditions just like those obtained by a besieged garrison in a fortress. Having agreed to terms, the remains of the two tercios left the field with deployed flags and weapons. The total Spanish losses were about 7,000 dead, despite this, the battle was of great symbolic importance because of the high reputation of the Army of Flanders. They were given the treatment usually given to a garrison and retired from the field with their arms, flags. With the end of the Fronde, Cardinal Mazarin slowly turned the tide against the Spanish in France and in the Low Countries. Alexander Farnese was Duke of Parma and Castro from 1586 to 1592, and Governor of the Spanish Netherlands from 1578 to 1592. He is best known for his successful campaign 1578-1592 against the Dutch Revolt, in which he captured the cities in the south. His talents as a commander and organizer earned him the regard of his contemporaries. Alessandro was the son of Duke Ottavio Farnese of Parma and Margaret and he had a twin brother, who only lived one month. His mother was the half-sister of Philip II of Spain and John of Austria and he led a significant military and diplomatic career in the service of Spain under the service of his uncle the King. He fought in the Battle of Lepanto and in the Netherlands against the rebels and he accompanied his mother to Brussels when she was appointed Governor of the Netherlands. In 1565 his marriage with Maria of Portugal was celebrated in Brussels with great splendour and it was seven years before he again had the opportunity to display his great military talents. 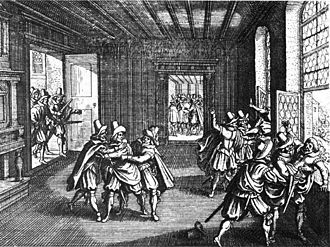 During that time the provinces of the Netherlands had revolted against Spanish rule. 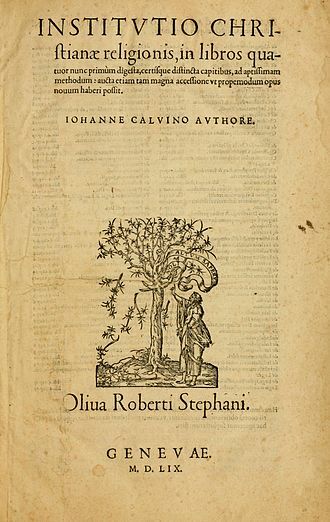 In the autumn of 1577, Farnese was sent to join Don John at the head of reinforcements, shortly afterwards Don John, whose health had broken down, died. Phillip appointed Farnese to take his place, both as Captain-General of the Army of Flanders, and as Governor-General, Farnese was confronted with a difficult situation. Perceiving that his opponents were divided between Catholic and Protestant and Walloon, he worked to exploit these divisions. By this means, he regained the allegiance of the Walloon provinces for the king, by the treaty of Arras, January 1579, he secured the support of the Malcontents for the royal cause. The rebels in the seven northern provinces formed the Union of Utrecht, formally abjuring Phillips rule, as soon as he had secured a base of operations in Hainaut and Artois, Farnese set himself in earnest to the task of reconquering Brabant and Flanders by force of arms. 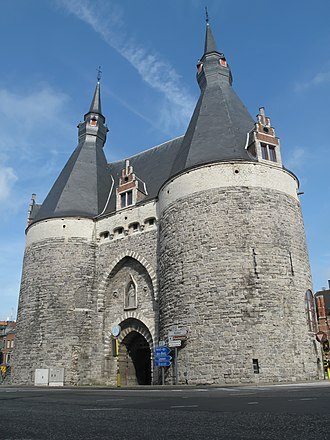 Town after town fell under his control, Maastricht, Breda and Ghent opened their gates. Battle of Nieuwpoort by Sebastian Vrancx. Battle deployment from Vere's Commentaries. 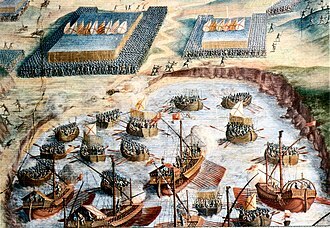 Battle at Nieuwpoort, 1600. Two phases of the battle depicted. Catholic service in Austrian military hospital during World War I.
Destruction of Godesburg fortress during the Cologne War 1583; the walls were breached by mines, and most of the defenders were put to death. Contemporary engraving by Frans Hogenberg. Gebhard von Waldburg-Trauchburg, whose conversion to Protestantism, subsequent marriage, and refusal to resign from the See, triggered the war. 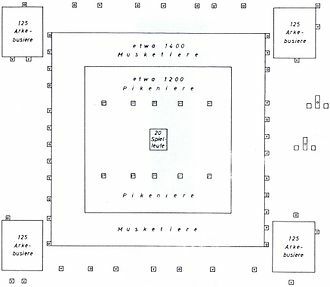 An 1868 plan of Fort I of the ring fortress at Magdeburg, typical of mid-19th century polygonal forts. Fort de Querqueville, one of the casemated coastal forts at Cherbourg, which was based on Montalembert's system. The gorge or interior of Fort d'Uxegney, showing the heavily protected accommodation casemates typical of the Séré de Rivières system. Arrival of the funeral procession of the Duke of Parma in Brussels 1592. 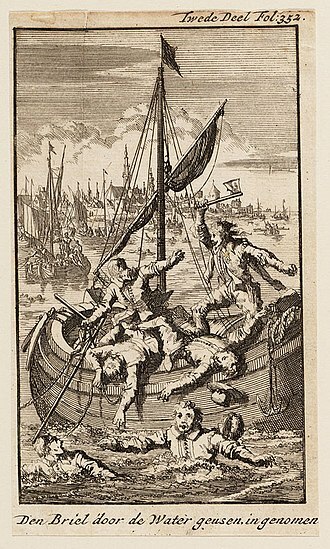 Print from 'The Wars of Nassau' by Willem Baudartius. François Joseph Heim, "The Battle of Rocroi"